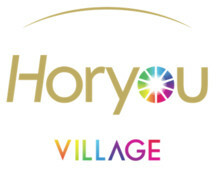 Horyou, the Social Network for Social Good, will present Horyou Village at the 2015 Cannes Festival. For 12 days, the values of social good will be highlighted through the lenses of art, culture and diversity. Among the various activities scheduled to take place at the Village, Horyou will be featuring five Global Cause Days. Each day will be committed to sharing knowledge, raising awareness and promoting solidarity among those devoted to the featured causes. Notable personalities, media members and non-profit organizations from around the world will join efforts during the festival to spread positivity. Nature & Wildlife (May 17) will focus on reinforcing the need for preservation of the Earth and its wildlife. Education for All (May 18) will highlight the importance of education accessibility around the world. Women Empowerment (May 19) will celebrate the achievements of women while advocating gender equality. Innovation for Good (May 20) will create awareness of challenges and potential solutions that spur and enable social innovation on all levels. All for Climate (May 22) will give voice to efforts that are changing the way we think about and utilize natural resources. Spanning the spectrum of promoters of social good, 30 organizations will be present at an exhibition area to advance their causes by raising awareness and sharing information. Each day, multiple communications outlets will serve to promote the event and its partners through the Horyou platform, Horyou Village website, Horyou YouTube channel, along with an international group of media, corporate and cultural partners. Media will play a key role in sharing their experiences through ideas, posts, videos and much more. “The non-profit world and its initiatives will resonate in Cannes this year. We are very happy to have non-profit organizations from our social network showcasing their contributions at Horyou Village. We invite everyone around the world and everyone present at Cannes to participate and join us in this unique initiative. This will be a special moment where diversity and culture connect for good, and cinema and art join forces at the heart of the world’s most prestigious cinematic event,” Horyou founder and CEO Yonathan Parienti said. Located in the gardens of Le Grand Hotel on the famed Croisette, Horyou Village will be a cultural hub for global social consciousness via a multimedia experience. Featuring a dedicated interview stage for local and international artists and personalities, concerts as well as a screening area set up to showcase socially oriented documentaries, Horyou Village will be a focal point where participants will engage with attendees and film personalities to promote their ideas and projects. All of the above will be shown at horyouvillage.com on the Horyou social web channel. Horyou is the Social Network for Social Good. Its Members, Organizations and Personalities promote a humanistic approach to technology and encourage positive action, provide quality content and prompt meaningful interaction. At Horyou, social networking facilitates the process of transforming ideas into concrete actions, while contributing to the building of constructive relationships between the online and offline worlds. Let’s Dream, Inspire and Act.